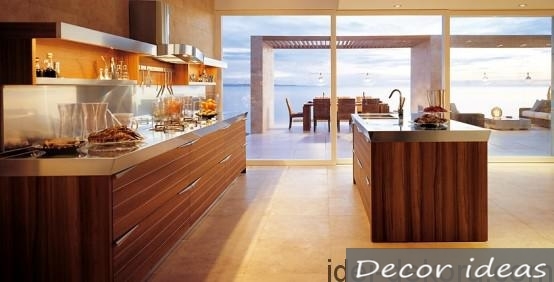 The theme of this article – kitchen furniture or simply kitchen, namely what it is made of. A cool furniture maker can make any kitchen for a million bucks. If the kitchen has some stunning storage doors, and cabinets are a key factor in determining the nature of the kitchen, we can talk about designer furniture. 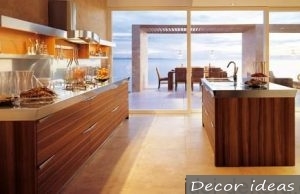 Therefore, it is important to choose the right style for your space and order the kitchen from the array to order here. Since kitchen cabinets occupy more than a quarter of the kitchen remodeling budget, it is necessary that architects and interior designers make a preliminary measurement of the room before ordering furniture. Probably the most important part of choosing a designer, even more than style and functionality — is choosing the right material. Many architects, interior designers and homeowners strive for solid wood furniture. And for good reason. Natural wood looks 100%. Of course, if it is to properly execute and not to spoil the “good” design. It should also be noted that solid wood is still not the best choice for countertops because of the possible swelling of wood. Oak is a durable material. 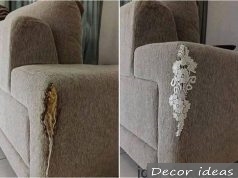 Available in a wide range of styles and finishes, it has pronounced texture patterns and is most commonly used for traditional wardrobe styles. Maple — fine-grained and light wood, a little more expensive than oak, but less dense. A popular choice for semi-book and custom cabinets, maple can be painted, but it is most often dressed in a clear or natural finish to achieve an easy, modern look. Cherries are hard enough to withstand the blows. Elegant and formal, when used for certain traditional styles, the versatility of cherry design can also give the kitchen a modern personality. This smooth, fine-grained wood darkens with age and is often colored for color uniformity. Birch is a strong, fine-grained wood that is slightly darker than maple. 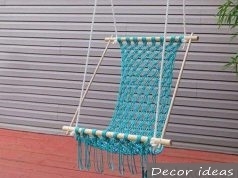 It is well suited for finishing and can look like more expensive wood. When painting, it can achieve a good “artificial” cherry or maple look. Birch is a relatively inexpensive choice of wood. Pine is the only softwood commonly used for kitchens, it is softer than hardwoods. 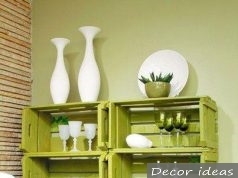 This pale yellow wood can be painted and it often has knots used to emphasize traditional and rustic style. Spacious and light kitchens made of wood. The tree is always practical, beautiful and for a long time! Previous articleDesigner stools from logs which you can do yourself!